The Egyptian economy has been suffering since the January 2011 revolution. The political uprising has had an impact on the macro-economy, leading to a severe reduction in confidence and investment outflows, as well as a drop in tourism revenues and foreign investment. The uprising and the continued political tensions throughout the year have created a number of economic vulnerabilities. Real growth, which had averaged over 6% in 2006-2010, dropped to 1.8% in the financial year that ended in June 2011 and 0.3% year-on-year in July-September 2011. But Egypt needs to grow by at least 6% to absorb new entrants to the labour market. Poverty has also increased over the past two years. Egypt’s external position is fragile and the country depleted more than half of its net international reserves. The pace of reserve loss is unsustainable and the Central Bank of Egypt has been allowing the Egyptian pound to depreciate albeit slowly. Public finances are also under pressure. Populist measures taken post-revolution created burdens on the budget at a time when revenues were falling pushing the deficit up. Egypt’s short-term economic outlook is fraught with challenges: the lack of investments needed to create jobs, a wide fiscal deficit exacerbated by the increasing costs of financing the deficit, a weakening external account, and pressures on the currency. The slowdown in the global economy is creating additional challenges. Egypt, one of the main civilisations of the ancient world, has a history that goes back more than 5000 years. Starting with the Pharaohs who were able to create a civilisation based on the banks of the Nile, they were succeeded by foreign conquerors, mainly Persian, Greek, Roman and Byzantine. European influence in the 19th century gave way to a constitutional monarchy in 1922. 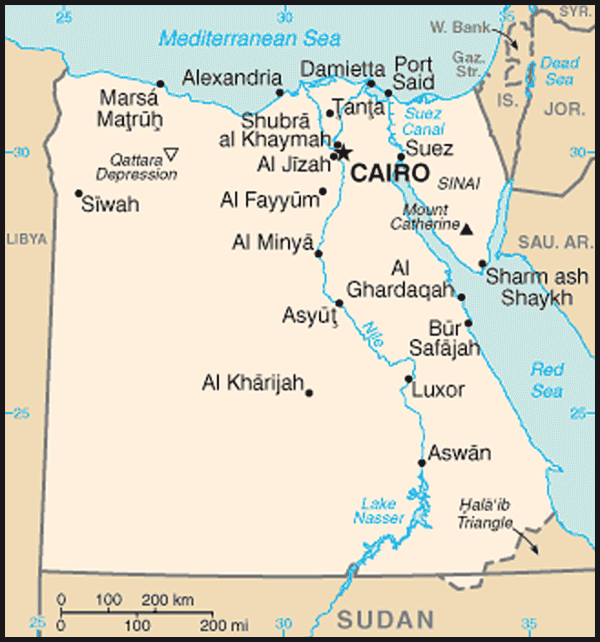 Following the revolution of 1952, Egypt declared itself a Republic in 1953. The first President, Mohamed Naguib, was soon ousted by Gamal Abdel Nasser, whose leadership over the next 18 years left a long lasting imprint on the Egyptian political, economic and social scene. His successor, Anwar El Sadat (1970-1981) was assassinated in 1981. Mohammed Hosni Mubarak led Egypt from 1981, until his resignation on 11 February 2011 following an intensive campaign of civil resistance. Egypt remains an important regional interlocutor, and plays an active role in the Arab League. It is also a member of the United Nations and is the highest contributor to peacekeeping forces in Africa. 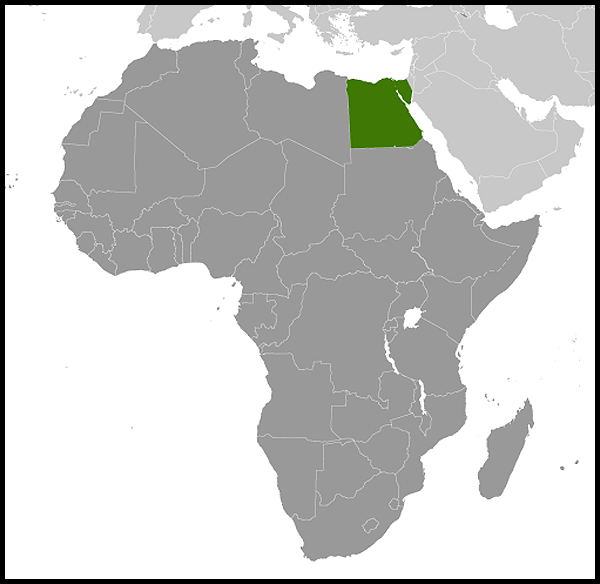 The EU-Egypt Association Agreement came into force on June 2004 and an Action Plan for political dialogue and sectoral cooperation has been in place since 2007. The Action Plan includes provisions for initiating free trade between the EU and Egypt and co-operation in a wide range of fields, including regular political dialogue on issues such as human rights, rule of law and democratisation. The British and Egyptian governments have a strong relationship and share mutual objectives. We enjoy full diplomatic relations with Egypt. Our Ambassador to Cairo is His Excellency James Watt. Over 1 million British nationals visited Egypt in 2011. The EU continues to provide assistance to Egypt through the European Neighbourhood Partnership Initiative (ENPI) , and the UK contributes a significant proportion to the EU's total development assistance programme. We have excellent cultural links with Egypt. The British Council has a substantial operation in Cairo and a smaller operation in Alexandria. The Foreign and Commonwealth Office offers approximately 20 Chevening Scholarships and 10 Chevening Fellowships to young Egyptians each year. In 2005, Al Azhar, a renowned centre of Islamic teaching, scholarship and guidance, sought advice from the British Embassy and British Council in Cairo on teaching the English language at university level. The British Council worked closely with Al Azhar, home to one of the oldest and largest universities in the world, to set up an English Language Training Centre offering English lessons to the top students from the university’s five religious faculties – Sharia (Islamic law), Dawa (preaching), Usul el Din (fundamentals of religion), Islamic Studies and Arabic Studies. The three-year project, which was formally launched in 2007, included the training and mentoring by the British Council of 20 teachers who would then deliver a mixture of specially-tailored and general English courses to some 350 undergraduate students. As well as helping Al Azhar student’s to develop English language skills, the project has also opened channels of communication between Muslims and non-Muslims, building bridges between different cultures and faiths. 0n 27 July 2010, the first group of 68 students graduated (http://ukinegypt.fco.gov.uk/en/about-us/working-with-egypt/070-al-azhar/080-graduation) from the Al Azhar English Language Training Centre. Our Ambassador to Egypt, Dominic Asquith addressed the audience at the ceremony, and said ‘I have sat with the students and teachers involved in this project on many occasions – at my house, as well as in the English Language Centre at Al Azhar. I have written about them in my blog (http://blogs.fco.gov.uk/roller/asquithenglish/) they have written about me in their magazine. We have shared stories and talked about many issues. I have learned something from each and every encounter I have had with them’. Egypt lies in the north-eastern corner of Africa, a major crossroads between Europe, the Middle East, Africa and west and south Asia, with an area of 386,000 square miles (four times the size of the UK). It is bordered by Libya to the west, Sudan to the south, the Occupied Palestinian Territories, Israel and Jordan to the north-east. Its north coast is on the Mediterranean Sea, while the Red Sea bounds the eastern coast. The Suez Canal links the Red Sea to the Mediterranean - a linkage vital to both Egypt and the world. Less than 4% of the country is cultivated and inhabited, mainly in the Nile Delta and along the banks of the Nile. The Nile runs for over 1,000 miles within Egypt, from Wadi Halfa in the south to the Mediterranean in the north. It divides the country into four broad regions; the Western Desert, which occupies almost two-thirds of the total area, the Eastern Desert, the Sinai Peninsula, and the Nile Valley and Delta, which is the most densely populated region of the country. Egypt is dependent on the Nile for nearly all its water needs. The vast majority of the remaining land is made up of sparsely inhabited, arid desert. Egypt is hot and dry in the summer, mild in the winter with rainfall increasing nearer the coastlines. Temperatures increase southwards, and on average, these vary between 22-37 degrees Celsius in the summer and 9-19 degrees Celsius in the winter. The UK is the largest foreign investor in Egypt, with cumulative investments across a wide range of sectors, including oil and gas, financial services, tourism, pharmaceuticals, telecommunications, textiles and consumer goods estimated at £10 Billion. There are around 900 UK companies invested in Egypt, who are increasingly looking at Egypt as a hub from which to develop business in the region as a whole. In 2009, Egypt was the UK’s 36th largest goods export market at £945million, up 4% on 2009. The top five export sectors were power generating machinery (£113million), machinery specialised for particular industries (£85million), general industrial machinery (£78million), petroleum - including petroleum products and related materials (£59million) and fruit and vegetables (£59million). Imports from Egypt increased 7% to £656million. The UK mainly imported from Egypt articles of apparel and clothing accessories (£126million), fruit and vegetables (£102million), gas – natural and manufactured (£58million), fertilisers (£55million) and petroleum – including petroleum products and related materials (£46million). In October 1981 Hosni Mubarak assumed power after President Sadat's assassination by Islamist extremists. He was re-elected on 7 September 2005 for his fifth successive term. This was the first contested presidential election in Egypt, following a change to the constitution in May 2005. Presidential elections are due to be held this year (2011). The Parliamentary elections in November/ December 2010 returned a majority of NDP candidates and saw a decrease in the number of opposition and independent parliamentary candidates in the People’s Assembly. In late January 2011 large scale demonstrations in Cairo began against President Mubarak. 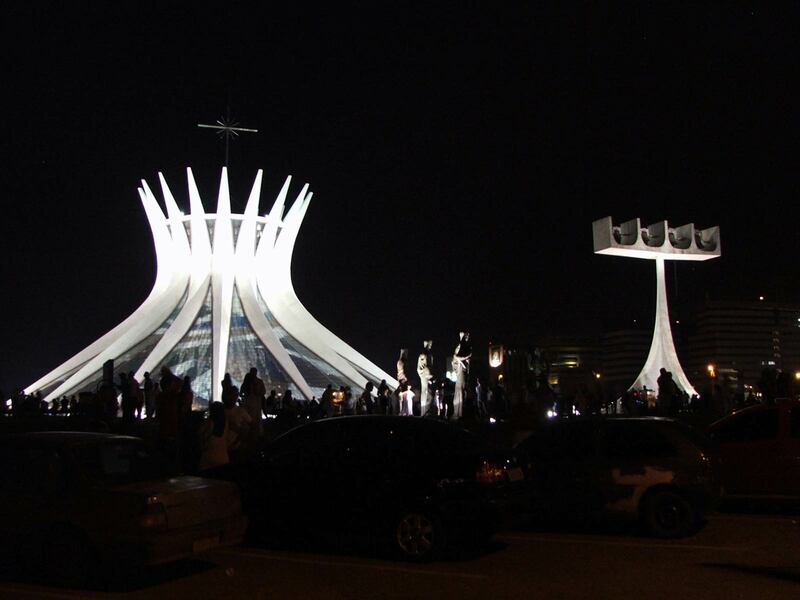 One of the key demands of protesters was to an end of the state of emergency, which has existed since 1981 alongside other issues such as human rights and employment. The focus of the protests was on Tahrir Square in Cairo where protesters numbered in the 1000’s. Social media sites such as Twitter and Facebook played an important role in organising the protests. Protests continued and on 11 February 2011, President Mubarak resigned and left Cairo. Vice President Omar Suleiman announced that President Mubarak had stepped down and that the Egyptian military would assume control of the nation's affairs in the short term. Field Marshall Tantawi, Head of the Supreme Council of the Armed Forces (SCAF) currently heads the de facto Government. The SCAf have announced that Presidential elections will take place within six months The Parliament is currently dissolved. Egypt is a signatory to all the major UN human rights conventions. and it has been a member of the UN Human Rights Council (UNHRC) since 2007. In February 2010, the UNHRC conducted a Universal Periodic Review of Egypt, examining its human rights record and presenting recommendations for improvements (http://www.ohchr.org/EN/HRBodies/UPR/Pages/UPRMain.aspx) . Egypt’s National Council for Human Rights was established in January 2004 and is chaired by the former Secretary General of the United Nations, Dr Boutros Boutros Ghali. We continue to call for an end to the persisting state of emergency, which allows for human rights violations such as the use of administrative detention, military courts for civilians and torture. While we acknowledge the steps the Egyptian government has taken to demonstrate its commitment on human rights, concerns remain in respect to Egypt’s wider commitments under international human rights conventions. We continue to call on the Egyptian Government to end to the persisting state of emergency, which allows for human rights violations such as the use of administrative detention, military courts for civilians and torture. The state of emergency has been in place since 1981 and was extended for a further 2 years from 1 June 2010. There are allegations of mistreatment of detainees and use of torture in places of detention, including police stations, especially in cases involving political detainees. However, the government has taken some steps to address the problem, and there have also been a few court cases against police and prison officers accused of mistreating detainees. We welcome Egypt’s commitments in this area and continue to urge them to ratify the Optional Protocol on the Convention Against Torture and to extend an invitation to the UN’s Special Rapporteur on Torture. On 11 June 2010, we urged Egypt to accept the 25 outstanding recommendations of the Universal Periodic Review in February, particularly those relating to the ratification of the Optional Protocol on the Convention Against Torture and the extension of an invitation to the UN’s Special Rapporteur on Torture. We also called for an end to the state of emergency (and for any replacement legislation to comply with international human rights standards) and for an amendment to the penal code with regards to the right of freedom of expression for journalists, publishers and internet bloggers. Sectarian tension still exist and non-Muslims remain under-represented in certain sectors of society e.g. the armed forces and we continue to raise issues around discrimination. Another concern is the difficulty in obtaining permits for building churches; this eased somewhat after a presidential decree in 2005 devolving the regulation of church repairs to governorate level. Further changes may be on the way if a future Parliament passes the ‘Unified Building Law’ that will regulate the building and restoration of all places of worship. Other issues of concern include difficulties faced by religious minorities including converts from Islam to Christianity when obtaining official documents, and the requirement to stipulate one of the three Abrahamic religions on ID cards. Egyptian Christian communities have also found themselves victims of terrorism, most recently in a suicide bombing of a church in Alexandria on New Year’s Day which left 21 dead.